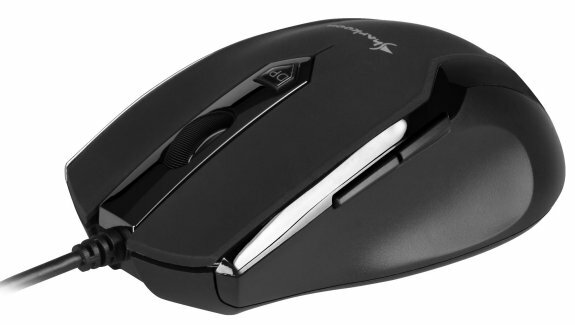 The flagship under the new input devices is the Sharkoon DarkGlider Mouse. Under a matte black rubberized surface and grip, the latest version of the Avago ADNS-9500 laser sensor operates at up to 6,000 DPI resolution and 11,750 FPS frame rate. Mouse movements with acceleration up to 30G are transmitted without loss and without delay; the key response time is one millisecond. A bright red LCD display indicates the selected DPI rate. Ten programmable keys, a 4-way scroll wheel, Weight Tuning System and the 256 kilobyte large onboard memory enables a wide-range of installation options and multiple user profiles. The use of high-quality materials is noticeable in the durable ceramic glide feet, the gold-plated USB plug and the textile case of the connector cable. 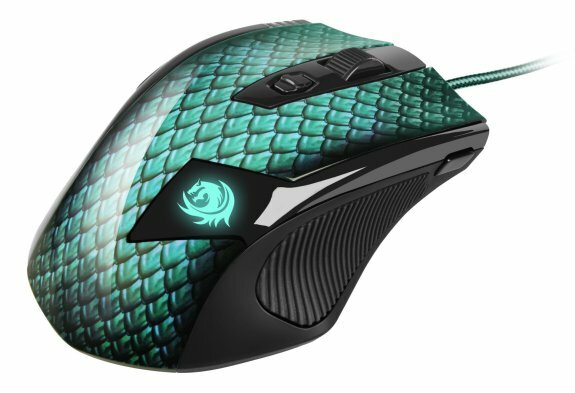 A flashier design is displayed with the Sharkoon Drakonia Mouse: The surface is provided with a glossy, green dragon scale print. Also the Drakonia waits with Weight Tuning System, Onboard memory, gold-placed USB plus and textile case of the connector cable. The supporting Avago ADNS-9500 sensor provides a sampling rate up to 5,000 DPI, a frame rate up to 11,750 FPS and supports an acceleration force up to 30 G. The functional range includes eleven programmable keys including configuration software. Also, made for smaller hands, is the Sharkoon Squad Mouse. 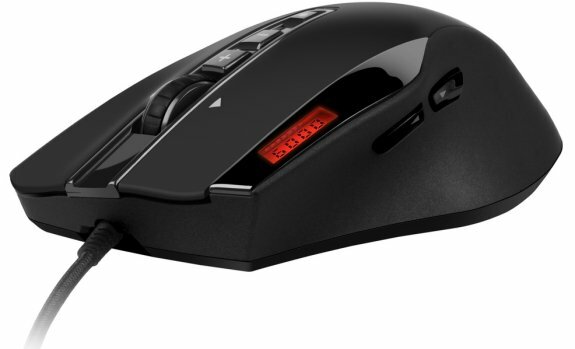 The ergonomically contoured laser mouse with the compact dimension of 116.5 x 79 x 40 mm (L x W x H) offers six keys, an adjustable sample rate of 1,600 DPI, a rubberized black surface and is equally suitable for both gaming and office application. 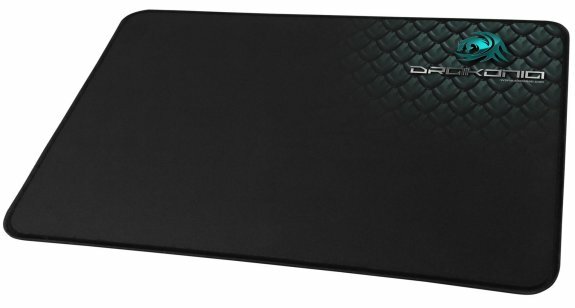 As an ideal base for the DarkGlider and the Drakonia, Sharkoon introduces a fabric mouse pad each matching the design motif. 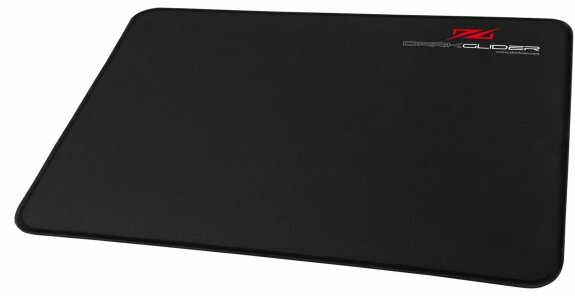 The Sharkoon DarkGlider gaming mouse pad and the Sharkoon Drakonia gaming mouse pad are available on a 355 x 255 mm wide, nano-coated precision playing surface, with an anti-slip rubber bottom and double stitching around the border to protect against fraying. 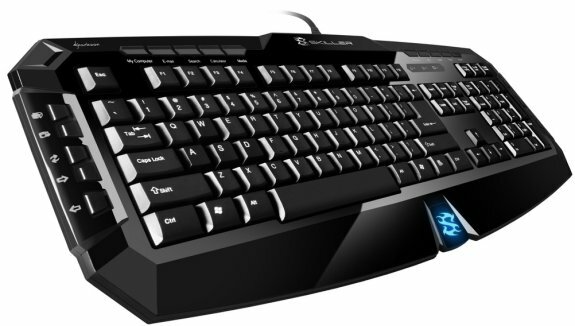 The black Sharkoon Skiller features 107 standard and 20 multimedia keys with an 18 Key Rollover and as bonus blue interchangeable keys to replace the WASD and cursor keys. All of the standard keys can be programmed individually with the accompanying software. For use in a variety of games, programs, operating systems or browsers, a total of ten profiles can be created each with three subordinate levels. 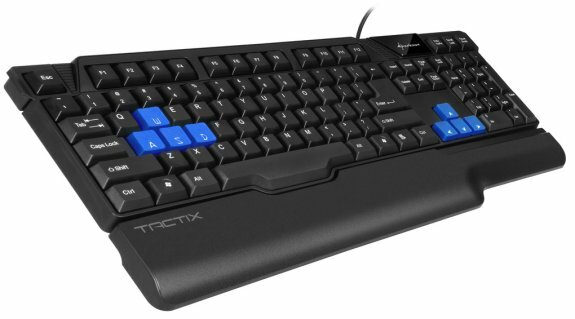 Also equipped with 107 programmable standard keys, an 18 Key Rollover and interchangeable WASD and arrow keys is the Sharkoon Tactix. It does not require any special multimedia keys and comes in a compact form measuring 431 x 136 x 24 mm. 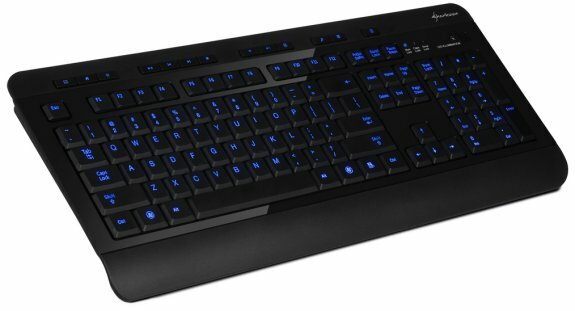 The Sharkoon Nightwriter is again for the first time an LED keyboard from Sharkoon: For the transparently marked 105 standard and 13 multimedia keys can be illuminated blue by clicking its on switch. The low-profile design and ergonomically contoured hand rest makes the Nightwriter an enjoyable input device even after hours of use.